Most of the foods that we eat today are processed in some way. Processing removes vital nutrients that the body needs. To avoid this with your twins, create your own baby foods when they are ready to begin solid foods. Homemade baby foods are made with fresh items. Fresh vegetables and fruits have natural sugars without preservatives. Preparing food at home guarantees that all of the ingredients are fresh and healthy. You can even grow your own foods if you possess a green thumb and the time. Use a food processor or a food mill to puree the baby food to the proper consistency for your baby’s age and eating abilities. Homemade baby food contains no added sugar or salt. These substances, along with others, are used in traditional baby food to help preserve their shelf life. By making your own baby food you omit these unnecessary and sometimes harmful ingredients. This of course means that baby food prepared at home needs to be frozen right away to avoid spoilage. If you're diligent, you can make enough baby food for two weeks at one time. Homemade baby food is cheaper in the long run than jarred food (a plus when you're buying for twins). As an example, let's say those jars are fifty cents each in the store, but put twenty of them in the cart and you have spent ten dollars. By making your own you can stretch that ten dollars to near double the amount of food for twins. If you're still concerned about cost, think about the following. Purchasing a food processor or food mill may seem expensive at first, but it will pay for itself over and over with each new addition to your family and it can be used for more than just making baby food as well. Secondly, fresh vegetables and fruits can be bought from a farmer’s market if the grocery store prices seem too high. Homemade baby food offers more variety than store bought baby food. You can introduce your twins to as many fruits and veggies as you can puree in a blender. You can puree some rhubarb if the mood strikes. You may think it's the worst stuff on the planet, but your twins may love the taste. You'll never know if you don't try, right? Starting twins off with the natural taste of foods minus all of the additives, sugar and salt, sets them up for a healthier lifestyle from the very beginning and will definitely make picky eating less of a problem as they get older. Creating homemade baby food is not as hard as it sounds. Your pocketbook won’t feel the strain as much, either. Food can be spooned into single serving containers and stored in the freezer for several months. If you want your twins to have the benefit of nutrient-rich foods, opt for making your own baby food. 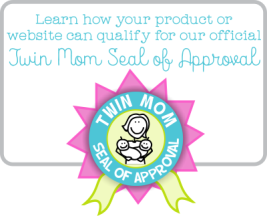 Let your twins experience their first taste of solid food the way that nature intended. When you have twins, let alone one baby, it's not uncommon, and completely normal to feel like an amateur at many things. One of these things for many parents is healthy food for their babies. If you are concerned about the quality of the baby food offered these days, then learning how to make your own baby food can be added to the learning curve. Here are a few simple instructions for creating your very own baby food line. Homemade baby food gives baby a preview of what table food will be like. You are preparing the fruits and vegetables the same way that you do for yourself. By creating your own baby food, you might just avoid the picky eater hurdle many parents face as their twins become toddlers. Go shopping for your equipment. We all have pots and pans for cooking the baby foods, but you will need something to puree them. A blender won't provide as fine a puree as a food processor. A food mill is another option that may be a better deal than the food processor. Choose the one that's right for your family's budget. Make a list of what you want to introduce to your twins first. You can still buy the baby cereals from the store or grind up your own grains. A word of advice; cooking the grains first, makes it easier to puree them before feeding to babies. Foods have to be thoroughly scrubbed and washed to remove dirt from the skin. Keep everything you use to prepare baby food as clean as possible. By paying careful attention to these steps you can keep bacteria from invading baby food. To avoid any type of illness from the foods you prepare, cook everything first. Apples, peaches, pears, and other fruits need to be soft so that they blend better when pureed. Also, don’t forget to remove all skin and seeds before cooking to avoid a choking hazard for young twins. There are so many foods to choose from. Be sure to give twins a chance to try them, as each twin will have their own personal likes and dislikes. The pediatrician can also give you a list of foods to avoid when twins are infants to solid foods to help you avoid any possible allergies or other health concerns. Babies are little people. Foods that give you gas or heartburn will probably do the same to them. You may want to stay away from broccoli, greens, and cauliflower until later. Your nose will thank you! Add as little liquid as possible during the cooking. You will be adding milk or water to the food when you puree it so that the consistency is not too thick. The whole process is trial and error so if the pureed baby food come out runny, add more vegetables or fruits. Try not to use any seasonings or sugar in baby food. The natural taste is better on their taste buds and their bodies. Freezing baby foods after they are prepared prevents spoiling. Storing the baby food in the refrigerator can lead to food poisoning if left too long. Protect your baby by only refrigerating what you will need right away and freezing the rest in freezer safe containers.